Do you ever hit a perfect shot, effortless, flushed, great distance and direction, then ask yourself, "What did I just do?" Golf MTRx [me-triks, metrics] is loaded with features that make it easy to understand and simplify the feedback. 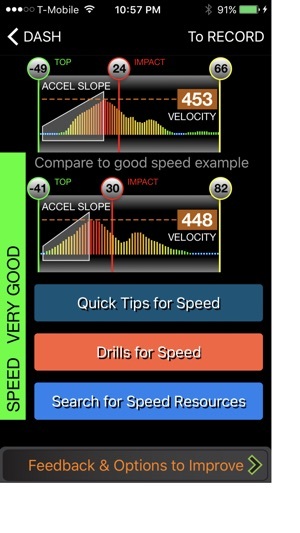 You don’t need to be a bio-mechanic expert because this app checks for hip over rotation, identifies speed and stability issues and leads you to focused drills and quick tips that really help you improve. 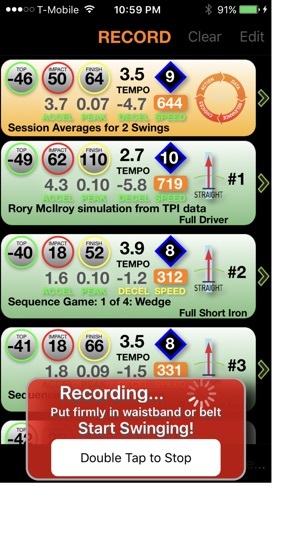 Simply tuck your iPhone or iPod touch securely into your belt or waistband and Golf MTRx will record your swings. 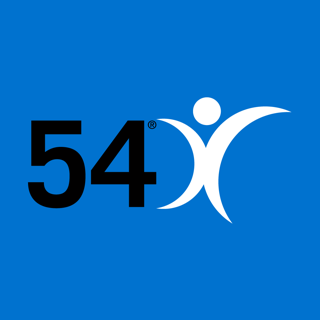 ▶ NO ADDITIONAL EQUIPMENT to buy – it’s ALL IN THE APP! This update fixes defects and is optimized for the latest iOS versions. 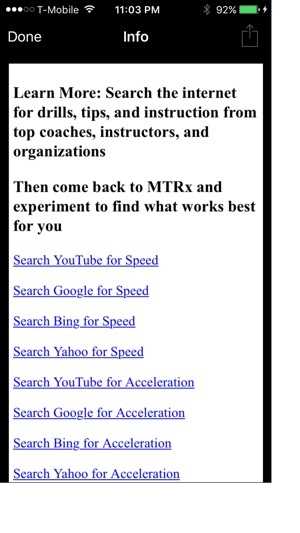 A great new feature directs you to instructional videos and resources from top coaches and trainers. 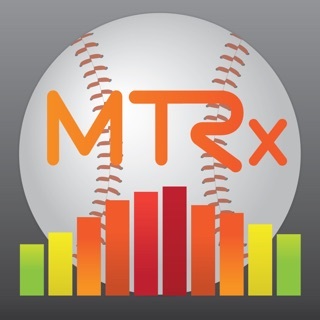 Internet searches are keyed to MTRx terms with relevance to your swing data. However, here's the deal. I am an avid golfer. My handicap index is 4.7. I practice some area of my game everyday and have done so for years now. I got this app as an early Christmas gift from my wife and started using it right away on the range. This is hands down one of the best swing analysis tools I've ever tried ! I recorded a few swings , then analyzed the data , compared my numbers to that of the average pro, then played the digital rendition of my swing . From that moment on I realized thus app was worth every cent ! I was able to adjust my swing and rotation to get closer to the pro and within minutes ... Literally minutes I was striping the ball ! I hit it far as is but straight is my Achilles heel at times and I instantly realized how much my turn or lack thereof influenced the ball flight. With that being said .. For the better player I loved the fact that you can compare what a pros pelvis does while hitting various shot shapes and once you match it .. You are dialed in ! Hitting fades , draws etc.. 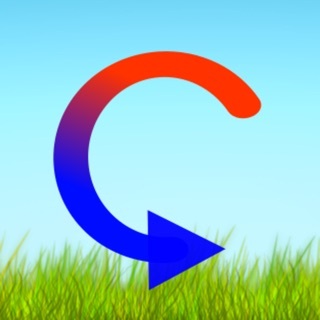 I get a lot of questions from friends and other golfers on the range about their swing and I have suggested this app to at least 10 golfers today alone ! Worth every penny...easy...lots of fun!! Normally I trend towards free apps, so I was a little hesitant to drop $30 on this app, but, after using it I can honestly say that it is worth every penny. It really helps maximize the efficiency of your body in the golf swing. If you are lacking in any category it prescribes drills to help your sequence that really do work. For better player, like myself, it allows you to compare shots and figure out what needs to happen in the golf swing to repeat different types of shots. MOST IMPORTANTLY, it is EASY to use. Do not let the heavy biomechanics stuff confuse you. 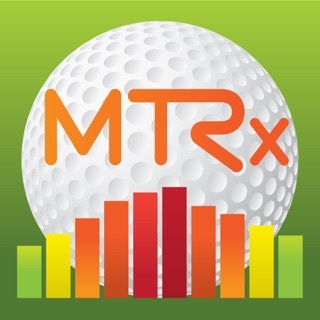 Once you have the app there is plenty of instruction in the app+support videos on the golf mtrx. Above all, it is FUN TO USE. I never leave it at home when I goto the range. Definitely WORTH the money. If you are a novice golfer, get this app. If you hit the ball fat, get this app. 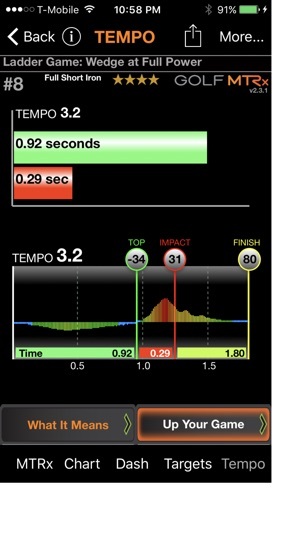 If you hit the ball thin, get this app. You get the idea. Finally there is a simple swing tool that gives you great feedback and meaning full data to improve your swing that makes sense. I'm a novice golfer that struggles with consistency, and this app is really helping me. Acceleration, deceleration, hip speed, and pelvis angle: all key indicators in this app recorded and analyzed by a NASA-like algorithm to let you see visually how to adjust your swing. It also gives you helpful tips and drills based on your results. It is the next best thing after having a live coach at your side. Try it. You won't be disappointed. I cannot say enough about this app.